Business Partnership has expanded into the corporate market. 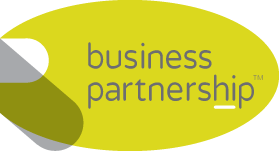 Business Partnership Corporate, which has its own brand identity and website, has been launched to meet the requirements of small to medium companies and businesses up to a turnover of £5 million. Director John Hatt said: “This is a natural step as the company has enjoyed considerable growth over the past two years. “Our regional partners across the UK have an in-depth knowledge of the marketplace and are passionate about securing the best possible outcomes for buyers and sellers alike. “We are also the only company in the sector to provide 24/7 feedback via a client engagement area on our Business Partnership website. “From our experience, the range of people both buying and selling businesses is incredibly varied.